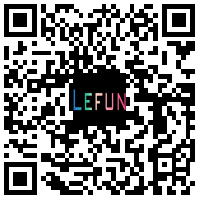 The LeFun One smartwatch is designed for fashion and precision, integrated with the state-of-art technology. It is truly an elegant and exquisite timepiece. It connects to your iPhone or Android device via Bluetooth so you get notified simultaneously. One provides customized notifications and downloadable apps to keep you staying connected, making life a lot easier. It is so special to have a personalized watch that changes the themes whenever you want. Along with NFC, standalone phone function, extendable memory, high definition 2.5D radian capacitive touch screen, user-friendly operation and long-lasting battery, you deserve more than just a ordinary smartwatch. No need to pull out your phone! View texts, email, Caller ID and other notifications right on your wrist. Make phone calls and answer calls via Bluetooth on your wrist. 1.54" TFT LCD 2.5D RADIAN Capacitive Touch Screen with high resolution embraced within stainless steel frame. Anti-lost, Remote Capture, Calendar, Audio and Video Player, FM Radio, Supports external memory - up to 32GB Micro SD card. Every part of LeFun One is seamlessly bond together making a perfect piece of art. The 2.5D radian glass is embraced within the aluminium alloy base and the shining arc edge brings out the beauty of screen. One is genuinely the first selfie smartwatch with a 1.3M pixels camera. Selfie has never been this convenient. With the customized app, you even can remote your phone camera to take a nice shot. Not like other smartwatches, the NFC function makes connecting phone via Bluetooth just by placing them together. No more complicated pairing process. One can be used as a standalone phone with a micro SIM card, meaning you actually can do everything on your wrist. The adjustable wristband with soft material give you a comfortable wearing experience.